NEW STRATEGIES DMC: End performances, exhibition, and party at the Temple Bar! 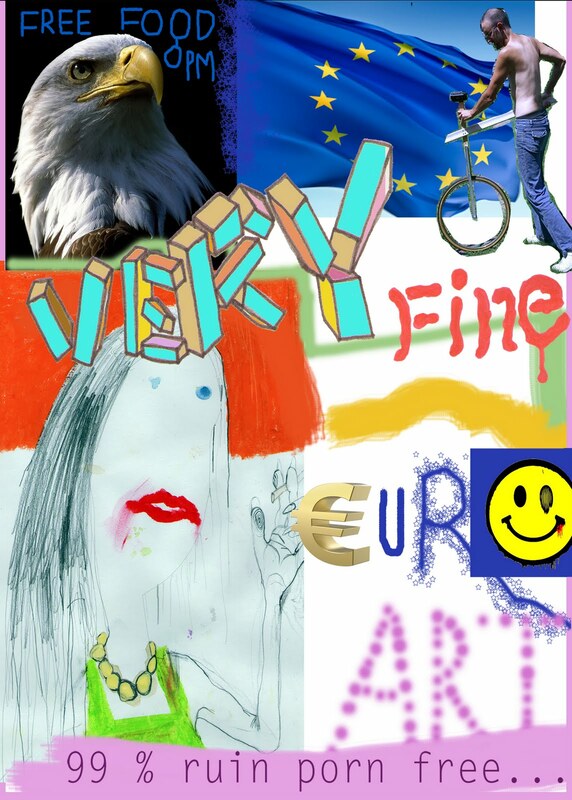 End performances, exhibition, and party at the Temple Bar! 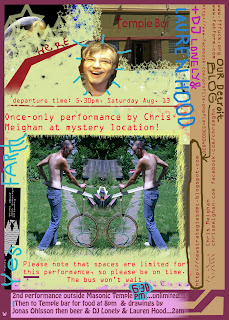 On Saturday August 13th, Yes Farm residents Chris Meighan and Jonas Ohlsson will say goodbye to Detroit in style. Chris and Jonas have been spending the last two months on the East Side courtesy of the art organization Expodium, from Utrecht in the Netherlands. 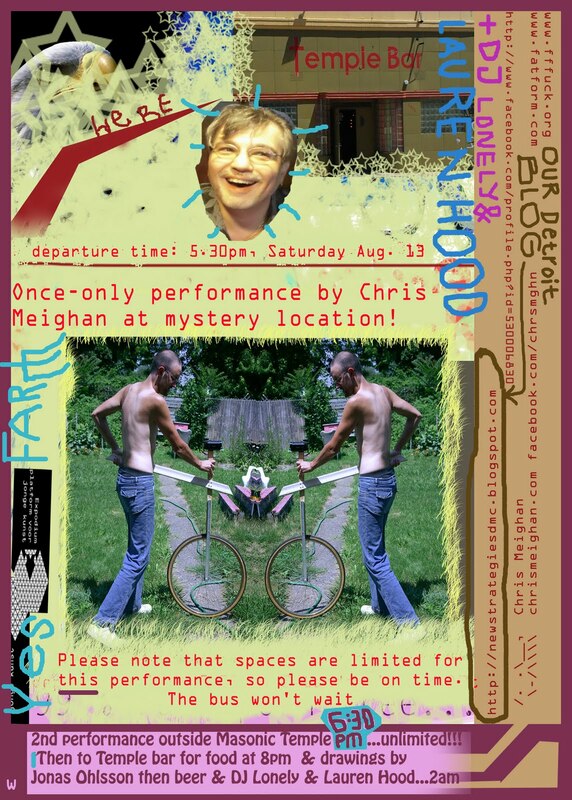 The program begins with a once-only performance by Chris at a secret location. Bus will depart for the first part from the Temple Bar on Cass Avenue at 5.30pm. Places are limited, so come on time - the bus won't wait! If you miss it, don't worry - part II will take place at 6.30pm in Cass Park, with plenty of space for everyone. After that, we will all return to the Temple Bar for free food at 8pm, drawings by Jonas, and finally a party with DJ Lonely and Lauren Hood rockin' the house till 2am! Baile Funk, Ghetto Tech, Detroit Techno, sleazy Chicago house, Kuduro, Kwaito, Dancehall, Euro trash, Miami Bass, Moombahton, Baltimore Club, Rave, Nu Disco, Indie, Dubstep, Digital Cumbia, Tech House and so on... Until they throw us out! With thanks to Expodium, the Yes Farm, Mondriaan Stichting, Fonds BKVB, CAID, and all the many interesting and enterprising people we have met in Detroit (and elsewhere) during the last few months, who have been so patient with and helpful to us - we're gonna miss you!